HUNTSVILLE, TX -- A convicted killer in Texas was executed Tuesday for fatally shooting another man in a robbery that yielded just $8. No late appeals were filed for Juan Martin Garcia, who was lethally injected for the September 1998 killing and robbery of Hugo Solano in Houston. Solano, a Christian missionary from Guadalajara, Mexico, had moved his family to the city just weeks earlier so his children could be educated in the U.S.
Garcia, 35, apologized to Solano's relatives in Spanish ahead of the execution. Solano's wife and daughter sobbed and told the inmate they loved him. "The harm that I did to your dad and husband - I hope this brings you closure," he said. "I never wanted to hurt any of you all." He told his sister and several friends in English that he loved them. "No matter what, remember my promise," Garcia said. "No matter what, I will always be with you." As the dose of pentobarbital began, he winced, raised his head and then shook it. He gurgled once and snored once before his movement stopped. He was pronounced dead 12 minutes later, at 6:26 p.m. CDT. In an interview with The Associated Press last month, Garcia acknowledged he shot Solano but denied the robbery, an accompanying felony that made it a capital case. Garcia, who was linked to at least eight aggravated robberies and two attempted murders in the weeks before and after Solano's death, also insisted jurors had unfairly penalized him because he didn't take the witness stand in his own defense at trial. The U.S. Supreme Court refused to review Garcia's case in March. 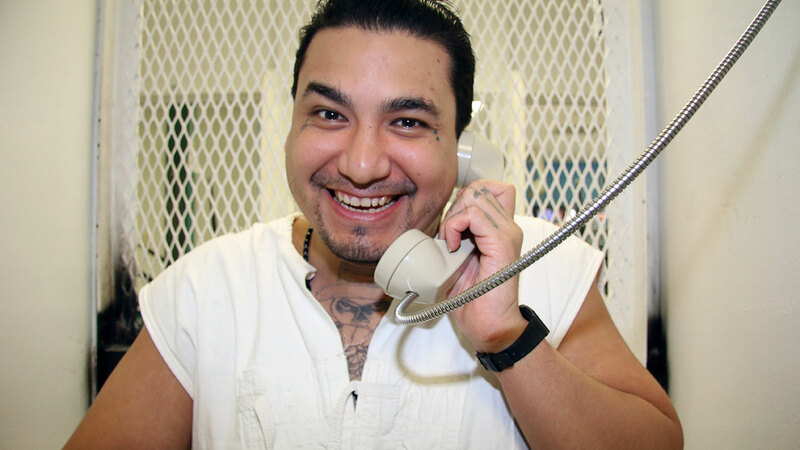 The Texas Board of Pardons and Paroles, in a 5-2 vote, refused a clemency request from Garcia last week. The execution was the 11th this year in Texas, which carries out capital punishment more than any other state. Evidence at the 2000 trial and testimony from a companion identified Garcia, who was 18 at the time of the killing and a street gang member, as the ringleader of four men involved in Solano's shooting and robbery. The slaying and string of other violent crimes tied to Garcia convinced a Harris County jury he should be put to death. Garcia, his two cousins and another man had already carried out a carjacking when they spotted the 36-year-old Solano early on Sept. 17, 1998, getting into his van to go to work. Eleazar Mendoza, who was sentenced to 55 years in prison for aggravated robbery, testified that Garcia approached Solano and pointed a gun. Mendoza said Garcia ordered Solano to surrender his money then shot him when he refused. Garcia told the AP that it was Mendoza's idea to rob Solano and that Solano escalated the confrontation by resisting. "He punches me," Garcia said from a visiting cage outside death row. "First thing that came through my mind is that the dude is going to try to kill me. He grabbed the gun with both of his hands and it discharged." Solano was shot four times in the head and neck. Garcia was arrested more than a week later when he dropped a gun while getting out of a car that police had pulled over for a broken headlight. He was released but arrested again when the gun was matched to Solano's slaying. Another defendant, Raymond McBen, was sentenced to 30 years in prison for aggravated robbery and paroled a year ago. The fourth man charged, Gabriel Morales, was given a life sentence for capital murder. Three more Texas inmates are scheduled for executions in upcoming weeks. They include Licho Escamilla, who is set to die next week for the 2001 shooting death of Dallas police officer Christopher Kevin James.